Gardening and DIY purchases helped boost rebounding Scottish sales figures, but growth is still lower than last year. The owner of retail chain Boots has warned over UK store closures as it looks to slash costs amid the “most difficult” quarter in the group’s history. Struggling retailer Debenhams has said it will give any firm takeover offer from Mike Ashley’s Sports Direct “due consideration” but added it would not solve its mounting funding crisis. Furniture retailer ScS has reported higher interim profits but cautioned that trading in the medium term is expected to remain tough. Shares in struggling retailer Bonmarche have tanked after it warned annual losses could hit £6 million following the return of sales woes in March. Scottish sales in February saw a 0.8% drop compared to last year with more uncertainty for consumers in the months ahead. 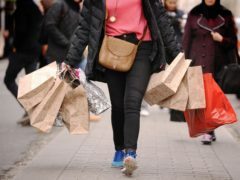 Fashion retailer Quiz has seen shares more than halve after warning over profits for the second time in as many months following plunging high street sales. Retailer Hotel Chocolat has hailed “encouraging early signs” for its overseas start-ups as it rang up a 7% rise in half-year profits. Sales at Laura Ashley have dropped as the fashion and home brand grapples with tough high street conditions and plans an overhaul of its strategy. 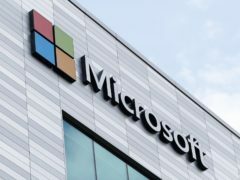 Microsoft looks set to launch its first UK flagship store in London later this year, a minute’s walk away from Apple’s main retail base in the UK on Regent Street. Scottish retail sales increased in January following a poor December, according to latest figures. Britain’s beleaguered high streets have seen nearly 20,000 jobs lost or put in jeopardy since Christmas, as retailers struggle with mounting costs and falling consumer confidence. Online grocer Ocado has seen shares slump after it warned over a hit to sales following a huge fire which swept through its warehouse in Hampshire. Ocado’s chief executive refused to be drawn on speculation it is close to signing a deal with Marks & Spencer, as the online grocer reported a year of widening losses after it was knocked by investment costs. Retail sales increased in Scotland at a greater rate than the UK at the end of last year, figures show. How did the Tesco accounting scandal unfold and who were the cleared trio? News of Tesco’s accounting scandal sent shockwaves through the City in 2014 and raised serious questions over how a FTSE 100 firm could get away with “cooking the books”. Retailer WH Smith has cheered a strong performance as its high street stores saw stable Christmas trading and sales lifted across its burgeoning travel arm. More than half of Britons would shop elsewhere if a retailer was throwing away surplus stock rather than giving it to charity, according to a survey. Christmas simply wouldn’t be Christmas without Santa Claus! And this year Santa only has one home this Christmas – The Bon Accord Centre! When you are shopping in Aberdeenshire there is only one destination – Celebrations of Turriff. This family-run department store in Turriff in the heart of Aberdeenshire offers everything you could imagine under one roof, bringing you a shopping experience you will never forget. There are many reasons to visit Westhill, which lies just a few miles west of Aberdeen. Whether you live here, or elsewhere in Aberdeenshire, you will be amazed at the range of services and local businesses available here in this picturesque village this winter. Tesco shares have tumbled despite the supermarket giant posting rising halfyear profits and its best sales hike for more than a decade. Moss Bros has warned over profits after hot summer weather and the World Cup “distraction” pushed the menswear retailer to a half-year loss.